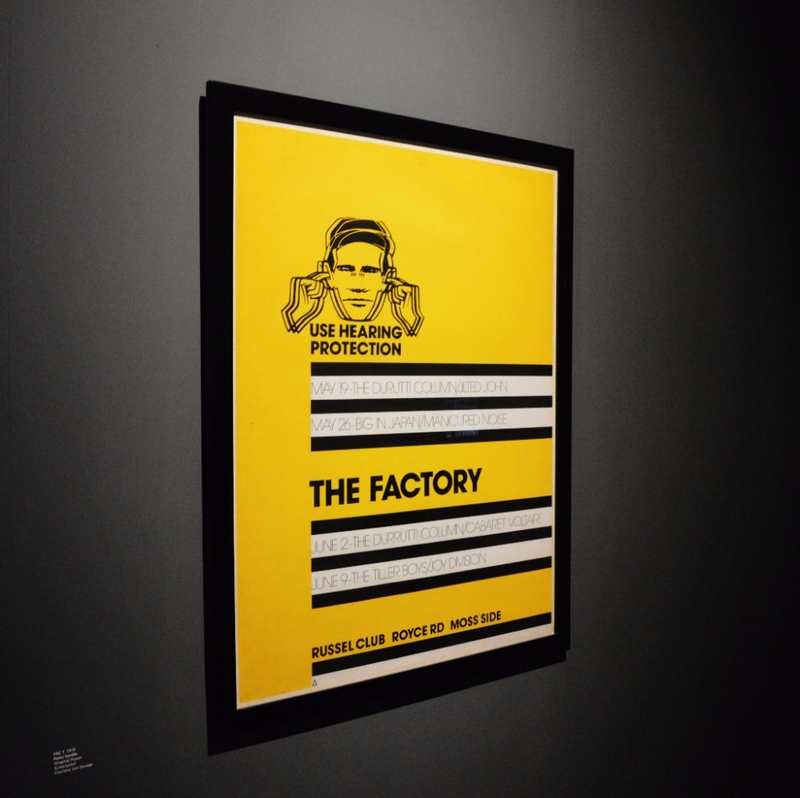 The first poster for The Factory Club. 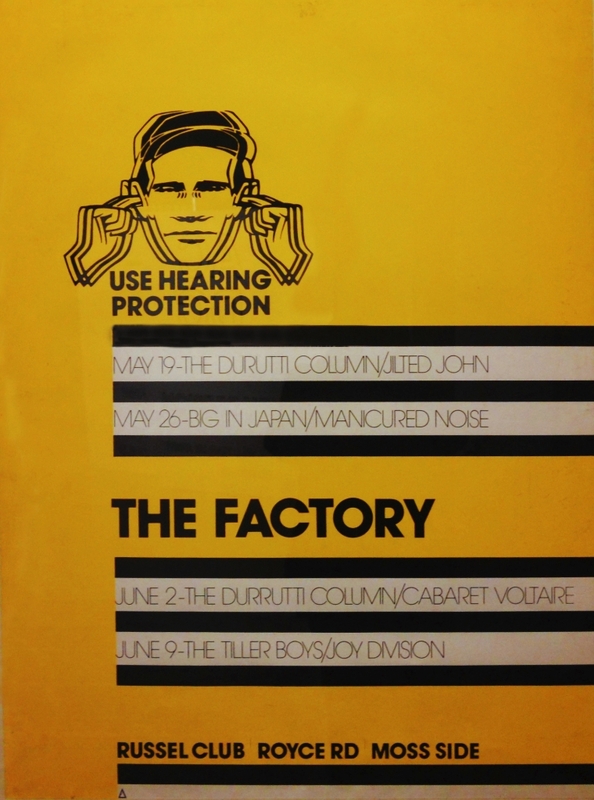 Designed by Peter Saville (who was paid £20 for his efforts) and designated number Fac1, this was the first item in the Factory catalogue. 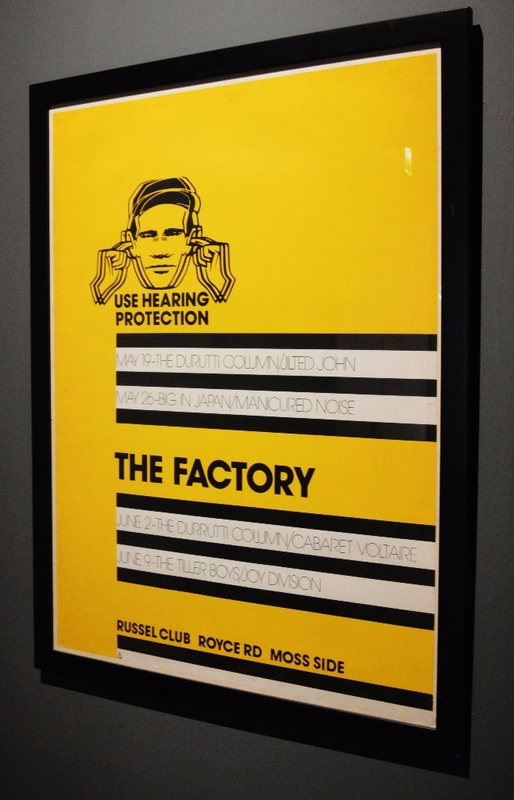 Photographs of Jon Savage's poster, taken at Manchester Art Gallery's 'True Faith' exhibition in June 2017.